For tiles for sale – follow the Etsy Shop link below photo. … but don’t miss these galleries here! 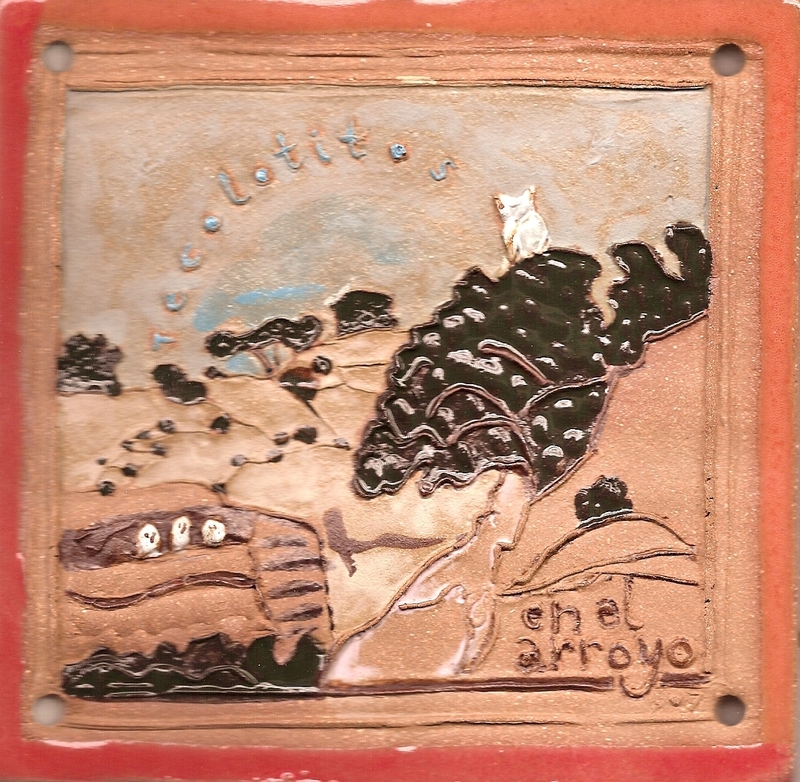 All cone 5-fired ‘Garden Companion’ tiles are made with Ochre clay (occasionally Sandia or Anasazi, too) and come from my own drawings. Hand-rolled slabs are pressed into handmade molds of my image. Each tile is glazed individually, by hand, eye, and brush. 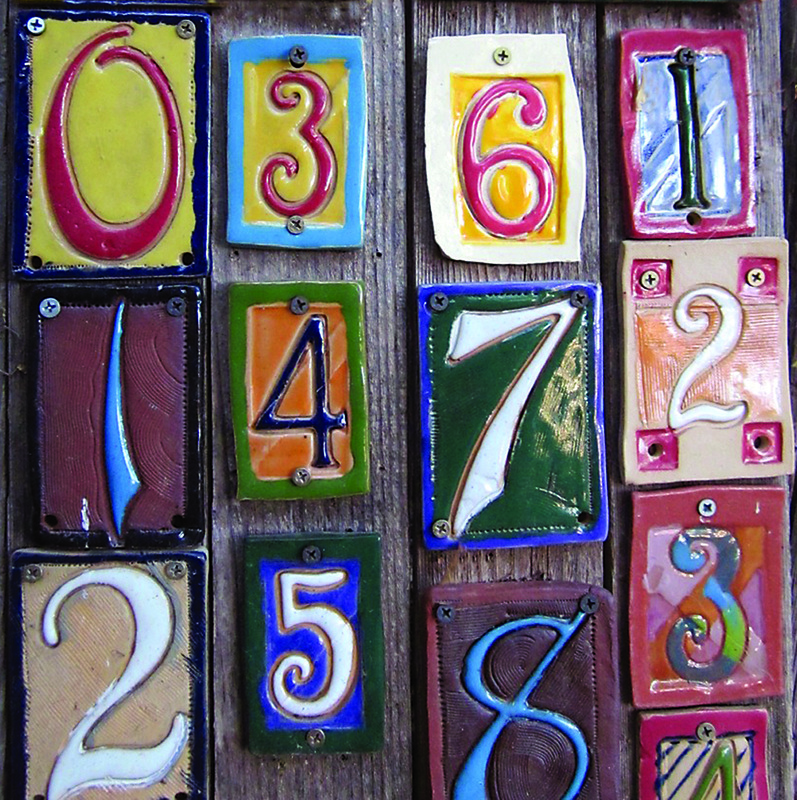 Number tiles are made with sets of metal hardware store numbers, smaller ones with ‘curlier‘ style (2.25×3.75″), larger ones with’curlier‘ style (squares around screw holes, 3.25×4.5″), AND larger ones with ‘swashier‘ style (3.25×4.5″). 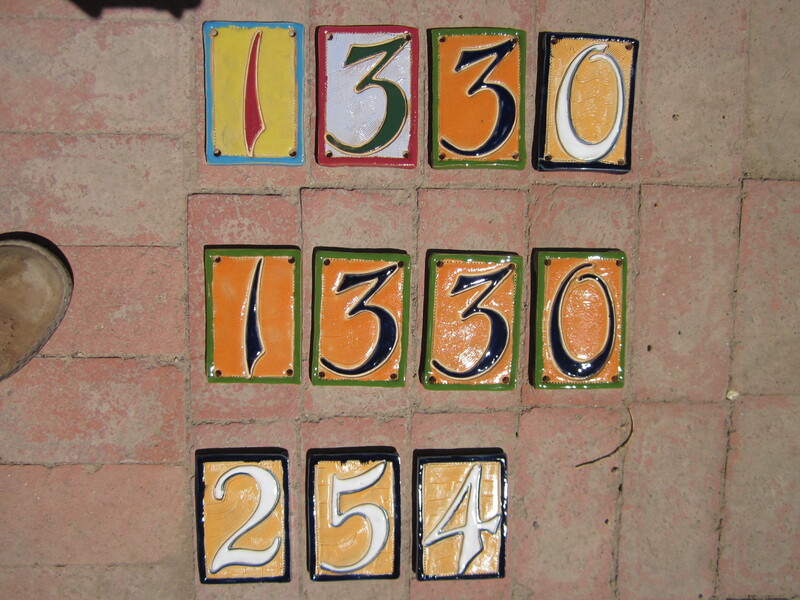 These tiles are also fired high to cone 5, so weatherproof, and are usually made with the buff colored ‘Ochre’ clay. Most tiles come with a screw-size hole in each corner, unless you request otherwise. Thus they can be hung without the use of thinset. After being fired so high, glaze will withstand the elements good for installation outdoors. Each tile can ALSO be incorporated into wall tile layouts with standard tile sizes, adhered with mastic or thinset onto walls, either indoor or outdoor. 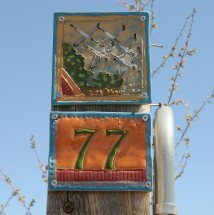 Your work is wonderful…I like’d seeing the cranes on the fence post. Great photo. Dear Jen – so great to have you visit here. Makes me so happy. Thank you.